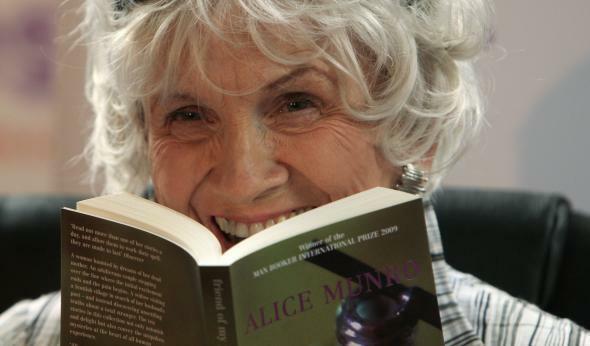 A guide to loving the stories of Alice Munro. Maybe you think so, too. Here’s how to love her. Alice Munro holds one of her books as she receives her Man Booker International award on June 25, 2009. She won the Nobel Prize in Literature on Thursday morning. 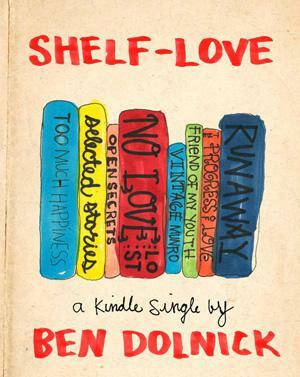 Excerpted from Shelf-Love, a Kindle Single about Alice Munro by Ben Dolnick, out now from Amazon. She often published stories in The New Yorker, and possibly wrote nothing but stories. Many of her book titles featured words like Love and Women. Her book covers were illustrated with moody, purplish-tinted scenes of women lounging on beds or gazing thoughtfully out windows. I bring this up not merely to demonstrate my tendency toward under-informed and over-fervent dismissals, but also because if I’m going to have any success in arguing that the work of Alice Munro can make your life tangibly happier and better, I need first to address the various reasons you might have for dismissing her. There is necessarily, in the life of any reader, a roster of authors—like the players in suits at the end of a basketball team’s bench—whose services you’ve decided you can do without. For you it might be J.M. Coetzee, or Salman Rushdie, or Elizabeth Bowen, or Hilary Mantel. You know these authors have their devotees, and you’re willing to accept that they might, theoretically, be capable of providing you with some slight pleasure, but an aura, or a flotsam-y list of half-impressions has served to convince you that your limited time as a reader would be more profitably spent elsewhere. Beginning in middle school, the era of wide-margined, Bible-paged anthologies, short stories develop unpromising associations—and these associations often linger through college, when stories become the things distributed in Xeroxes missing entire pages of line-endings. They’re the faintly antique little samples that teachers distribute when they haven’t got the time or the energy for something more substantial. They’re the apprentice work with which an aspiring writer busies himself while, in his innermost depths, the real work—a novel—ferments. And then, once you’re out of school, when a promising review or an enticing book cover does vault you past your lingering misgivings, the experience of reading a short story collection will often serve to assure you that you needn’t have overcome your prejudices in the first place. For a long time, since story collections look almost precisely like novels, I presumed that they were meant to be enjoyed in the same way as novels. So, on the summer vacations during which I intended to accumulate new favorite writers just as determinedly as someone else might intend to fall in love, I’d drop a story collection in my beach-bag and spread out my towel and lay uncomfortably on my stomach, propped up by my elbows, wearing or not wearing sunglasses, considering moving farther from the kids playing Kadima … and eventually I’d manage to make some headway in the first story and it would actually be pretty good. A nice peppy voice, an odd and compelling plot; wow, maybe this’ll really be the one. Before too long I’d feel the end coming—plot tumblers engaging, lyrical language crescendoing—and sure enough, the words on the next page would stop half-way down. Whew! Good story. But it would only have been 15 minutes. So I’d begin the next one. And, you know what, it just didn’t seem to be as good. Or maybe the first one was still in my head, that peppy voice drowning out the quieter music of this new narrator. So I’d hurry to the end and try the next one, eager to get back the happy regard for the author I felt during the first story. But a couple of pages in I’d realize that I’d read the same paragraph three times (I’d realize too that my legs were being bitten by some type of sand-insect) and I’d put the collection down and now it would be like some half-botched home improvement project: I’d dread going back to the book because I’d know I really ought to start back at story two and pay it proper attention, but I’d want to skip ahead to story four, though I knew the unfinished dangling-ness of stories two and three would continue to rankle me. I’d wonder if there were any novels on the shelves back at the beach house. A novel quite possibly won’t be good, and even more possibly will have not-good parts, but at least it won’t shape-shift on you; at least you can say that you’re halfway through and know that this maps onto some clear, visualizable chunk of narrative. At the end of it, if nothing else, you’ll have a nice solid opinion that you can pull out and set on the table like a business card or a ballpoint pen. Courtesy of Amazon Digital Services, Inc.
A short-story collection is harder to formulate pithy sentences about. Thinking about one is like being asked, after not having seen an uncle for years: So how did you like college? Well … does he mean the lonely Monday evenings in the dining hall eating plain penne or does he mean the glorious Friday nights on some dorm’s rooftop or does he mean the dull Wednesday afternoons in the middle row of a lecture hall, trying to see if it’s possible to sleep in one-second eye-blinks? The experience is too various, too private and complicated, to encapsulate, and so any encapsulating thought you came up with would have to be half a lie. Which is why—particularly when you’re reading Munro—each short story in a collection ought to be considered alone. Clear a little space in your mind, lay the individual story down away from its brethren, and suddenly it becomes a much better specimen. It doesn’t take as much of your time, so you may need to bring a magazine down to the beach with you, but if you simply open the collection planning to read one story and then stop, your experience will have the pleasing cleanness, the clarity, of a single seashell resting in your bare palm. There are, of course, good stories and bad ones—bad ones that will remain bad whether you read them in isolation or while spinning cartwheels through aisles of Norton Anthologies—but once you start reading the good ones this way, giving them enough space to spread their arms and show you what’s in their pockets, you’ll begin to appreciate the resemblances and hear the conversations between them in a way that’s much harder to do when they’re massed in a giant clamoring herd. You’ll stand up, having read a 20- or 30- or even, if you happen to be reading late Munro, 70-page story, and you’ll wander down the beach smiling faintly, privately, full of fondness for the Kadima-playing kids and a sense that somehow you’re seeing everything, the seagulls and the sand, freshly scrubbed. And this is not—especially not in the case of Munro—merely a trick for swallowing the unpalatable, like squeezing lemon onto an oyster. It is, instead, like learning that you need to peel a clementine before you eat it; it’s a shift that changes everything. Because now you’ll develop an appetite for her stories; you’ll read one, wait, read one, wait, and pretty soon you’ll forget which collection a particular story happened to come from. They’ll all come to seem to you like segments of the same fruit, each enclosed in a half-translucent membrane but sharing an essential sap. And it’s almost incommunicable, the delight, the richness, in reading Munro this way. You’ll read a story about, say, a seventysomething woman wondering if she has breast cancer, and you’ll realize that you’re inhabiting it something like the way you inhabit your own life, with a half-visible contrail of memories and associations stretching off into the distance — there’s the same woman at 40 in “Moons of Jupiter,” visiting her ailing father in the hospital; and behind her the woman at 20 in “Jakarta Island,” adjusting to married life; and behind her the girl at 8 in “Royal Beatings,” sipping her chocolate milk in bed. For a long time I thought of my life as a novel. One by David Foster Wallace or Don DeLillo or Ken Kesey, maybe, with many characters, a large-ish timespan, and a potentially troublesome proliferation of subplots, but one that would nonetheless hew to certain conventions of the form: there would be a final unity, a sense of plot-points mostly addressed, a considerable heft. After a half-dozen or so years of reading and thinking about Alice Munro—and many more years than this of being disappointed in my life’s refusal to take on anything like a novel’s shape—I’ve changed my mind. The repetitions, the gaps, the preoccupations arising and falling away, the feelings of daily inconsequence and yearly hyper-consequence … Life, I’ve come to believe, is not a novel at all. It’s a waist-high stack of Alice Munro stories.